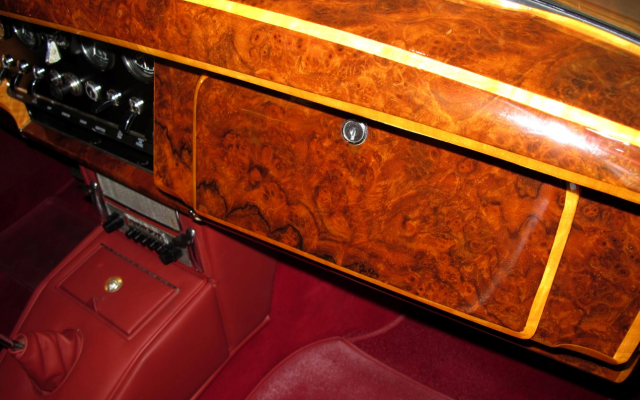 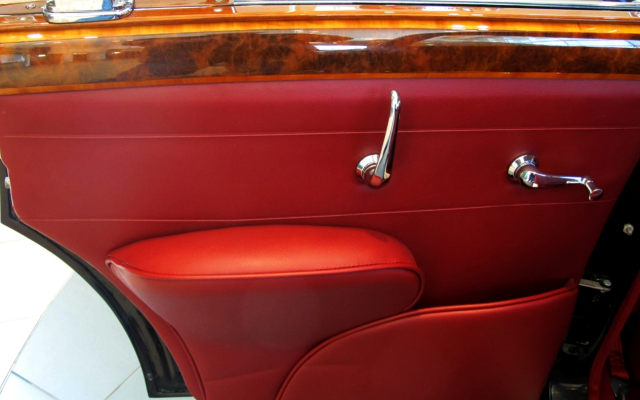 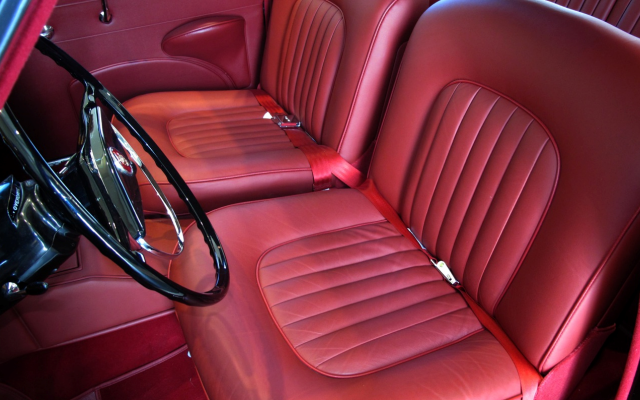 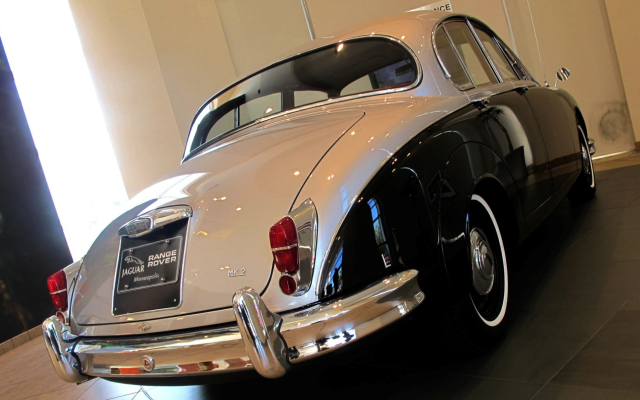 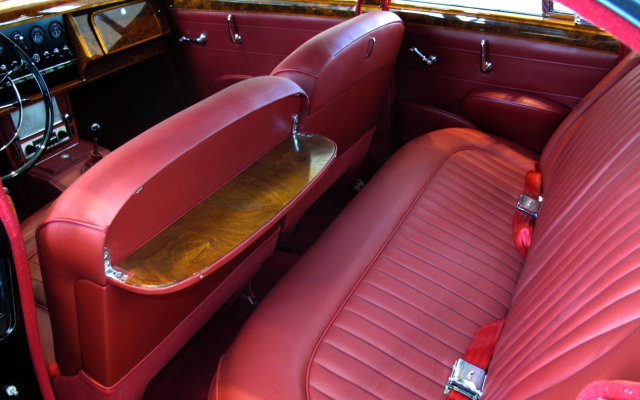 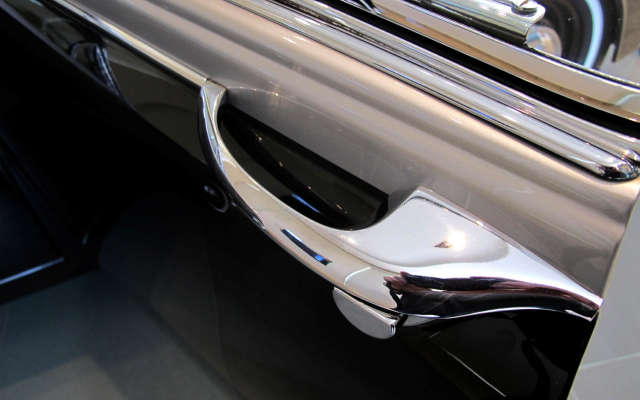 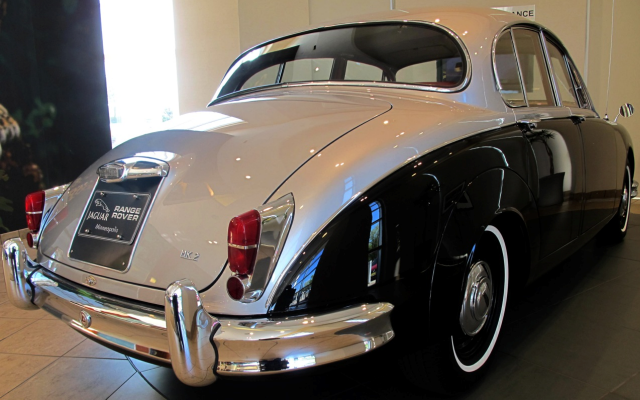 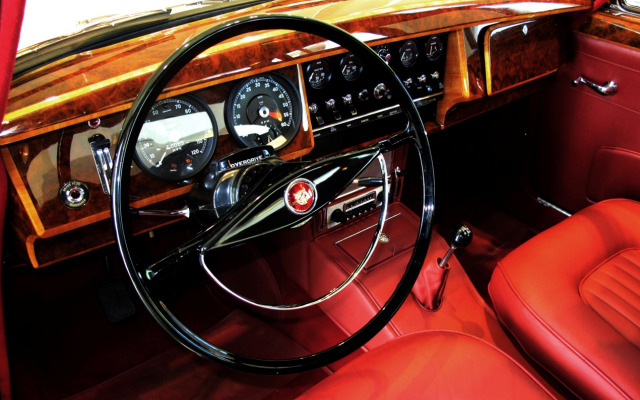 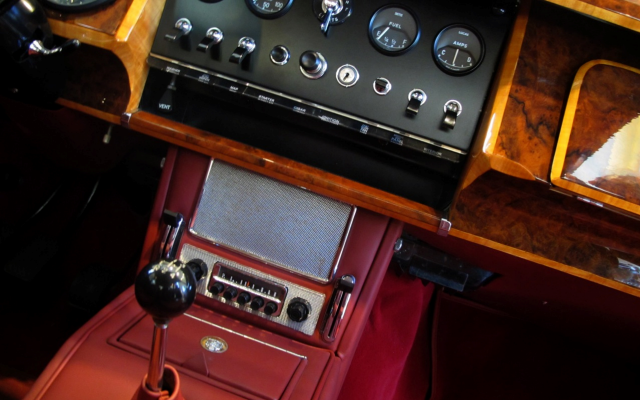 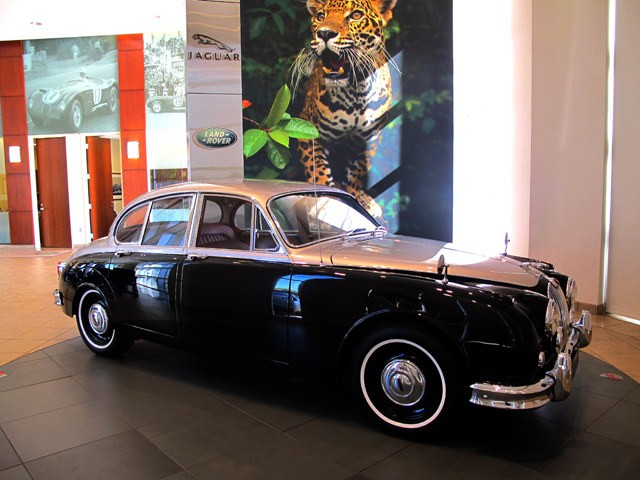 The 1960 Jaguar Mark II embodied Sir William Lyons’ adage of “grace, pace, and space”. 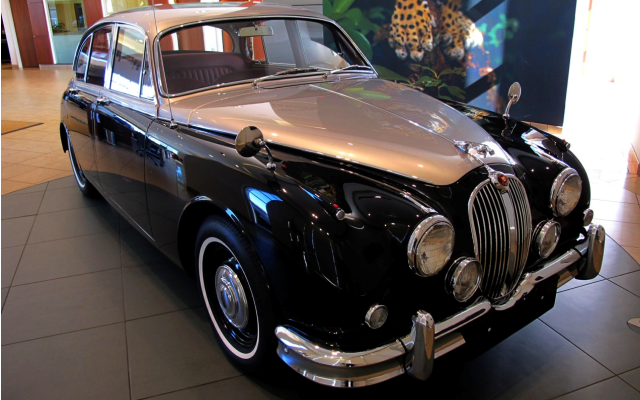 With the production of this restyled compact saloon, previous versions (1956 – 1959) became known as Mark I vehicles. 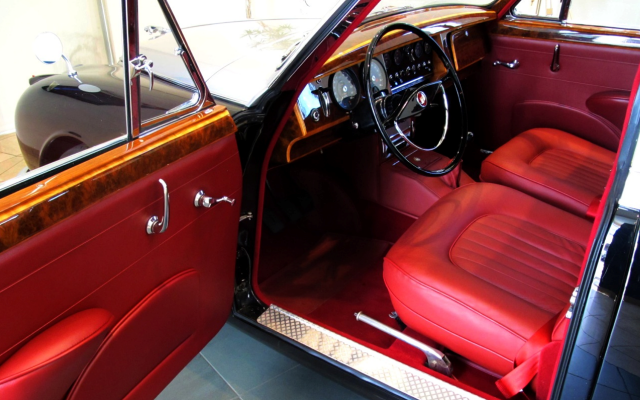 Restyling included a more open greenhouse and minor exterior trim changes, yet overall dimensions and design concept remained the same. 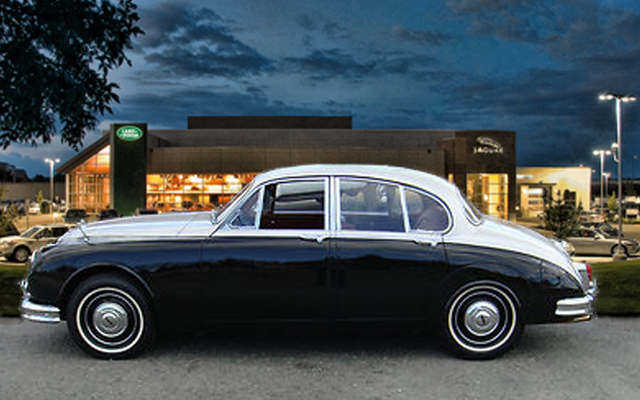 The popularity of the Mark I and II body designs has carried forward through Jaguar’s more recent models, including the S-Type, introduced in 1999, and the smaller X-Type, which debuted in 2001.
Notable features of this model include a live-axle rear suspension, remarkable handling and performance. 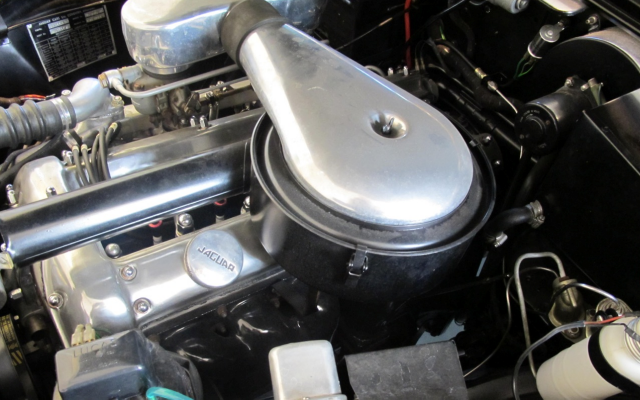 This Mark ll could arguably be the finest example available in the country. 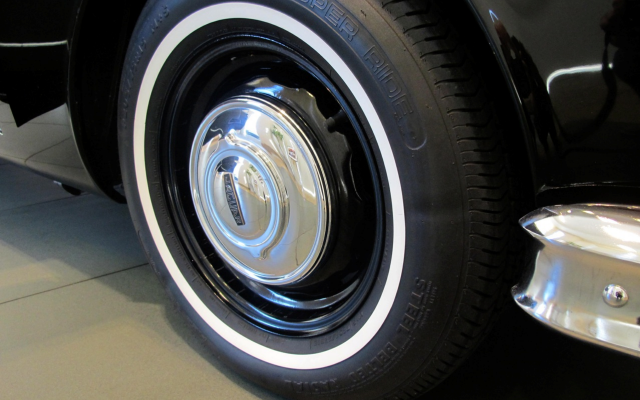 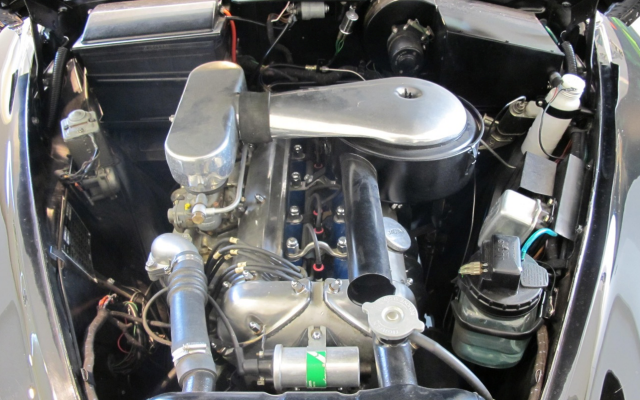 The restoration process left no stone or bolt unturned. 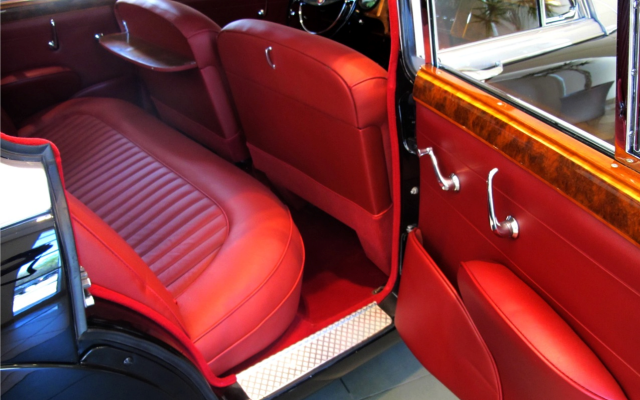 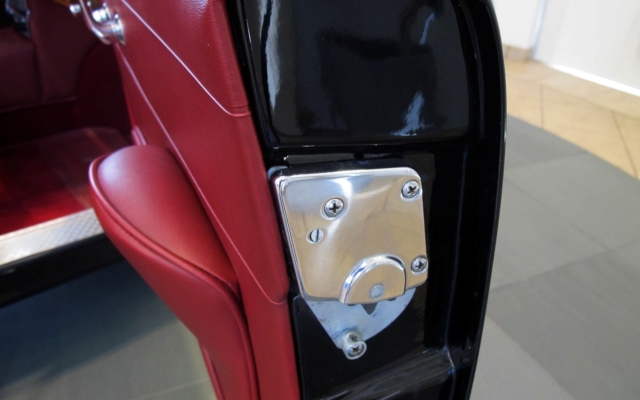 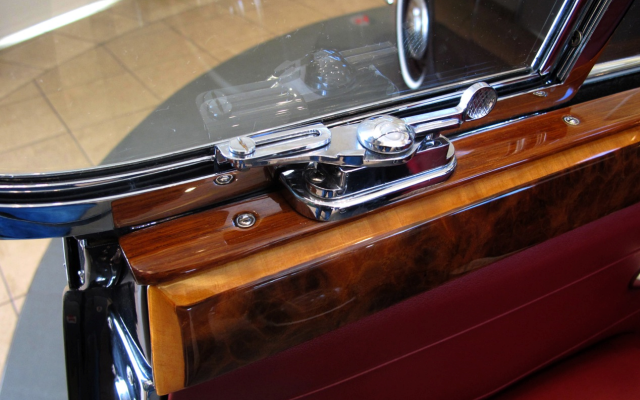 The result is a stunning automobile from first glance to an indepth inspection. 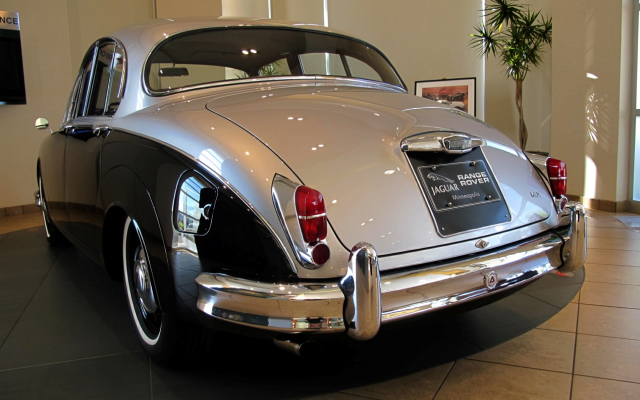 Purchased from an estate sale with receipts totaling more than $120,000.00 this gentleman’s dream car can be yours for a substantial savings from the original investment. 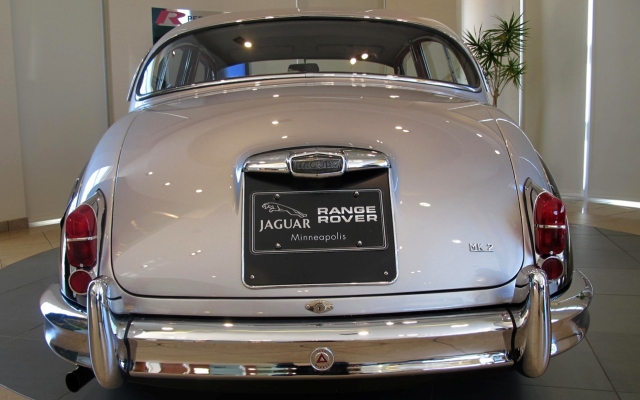 Matching numbers throughout including a coveted “Heritage Certificate” attest to it’s originality even if it does look better than the day it was delivered to it’s first owner. 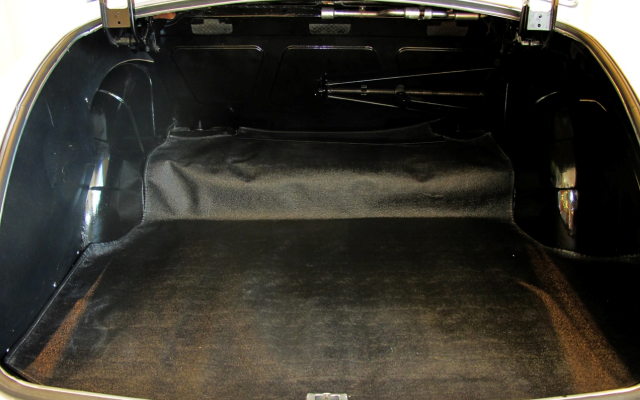 Four speed manual transmission with factory overdrive, original radio, complete new interior including headliner and sun shades, new tires, all new trunk mat complete with original jack and tools the restoration list is long and complete. 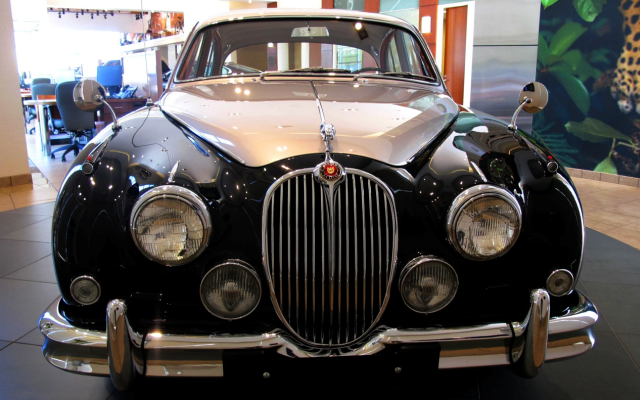 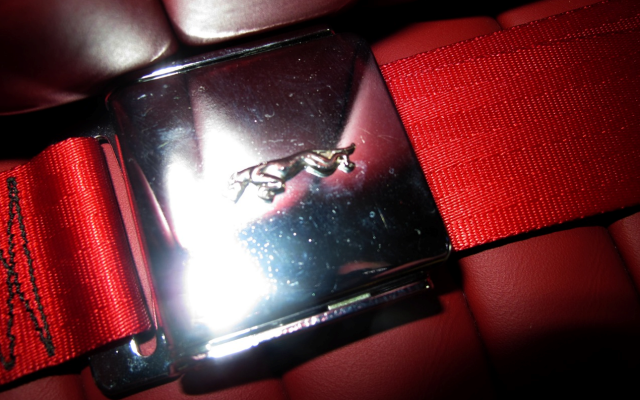 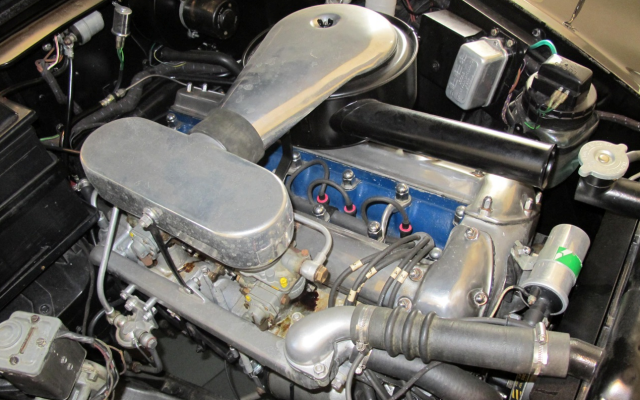 With only 63 miles since it’s restoration and our “certified ” Jaguar service facility inspection you can be assured of owning one of the finest vintage Jaguars available today. 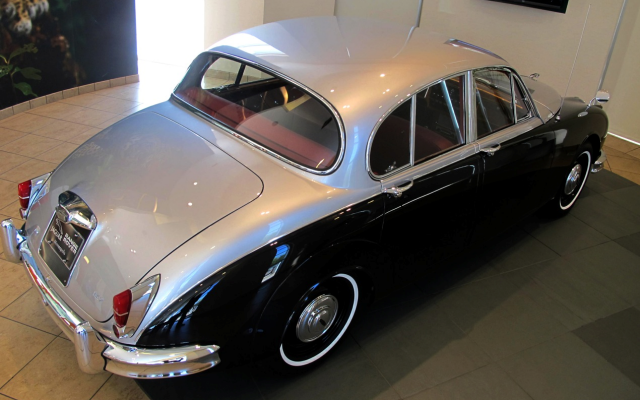 Click here to view the 1960 Jaguar Mark II 2.4 on YouTube.